Use the GoToMeeting and Salesforce integration in Lightning mode. Lock your GoToMeeting session to avoid attendee overlap. 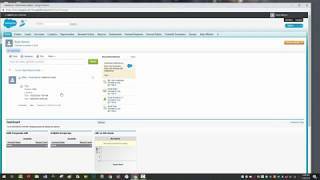 Use the GoToMeeting and Salesforce integration in Classic mode. 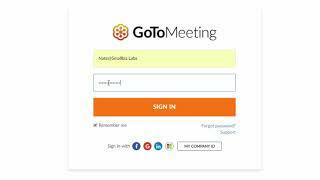 Join GoToMeeting with the Web App and Chrome. Creative ways to boost customer loyalty. Welcome to a brief tutorial on how an organizer on a GoToMeeting account can invite other organizers from their team to be co-organizers in a GoToMeeting session. A common example of a need for this option is when one organizer schedules meetings, but another organizer hosts the actual GoToMeeting events. The main organizer starts by logging into his or her own account at GoToMeeting.com. Once logged into the account, the organizer will click on “schedule a meeting” at the top of the “My Meetings” page. When scheduling a meeting, under the “co-organizers” tab, the organizer can enter the email of a co-organizer and click “save.” This will send a copy of the meeting to the co-organizers list of scheduled meetings. Next, a copy of the meeting invitation will open, which can be sent out to attendees. For more information on how to use co-organizer features in GoToMeeting, visit this URL: https://link.gotomeeting.com/coorganizer-help People searching for help on using the co-organizer feature in GoToMeeting also search: “GoToMeeting change organizer” or “GoToMeeting co organizer start meeting” in their preferred search engine. 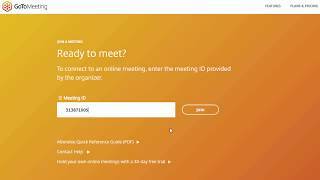 GoToMeeting Transcription and the Smart Meeting Assistant. Learn about GoToMeeting's "Call Me" feature. 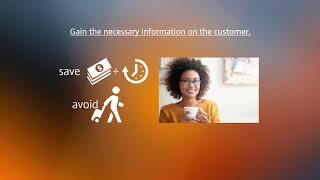 Learn all about our new Business Messaging with GoToMeeting. Enable Business Messaging on your GoToMeeting account.